German spy Josef Jakobs was tried by court martial on 4 and 5 August, 1941 at the Duke of York's Headquarters in Chelsea. The President of the Court Martial, the five Members of the Court and the two waiting Members (if required) would decide his fate. The Manual of Military Law contained the Rules of Procedure governing the General Court Martial. Officers selected to serve as members of the court could be disqualified for a number of reasons including if they had a personal interest in the case. The members of the court were to be chosen from different corps and four of the officers could not be below the rank of Captain. The officer convening the Court Martial, in this case, George Mervyn Cornish, Officer Commanding Grenadier Guards, Holding Battalion, chose officers with the assistance of Director of Personal Services, Maj. General C.J. Wallace. Major General B.T. Wilson C.B., D.S.O. The first person selected for the court martial was the President. In mid-July, the Director of Personal Services, Major General Charles John Wallace had tried to speed-up the schedule for the proceedings but Lt. Col. William Edward Hinchley-Cooke of MI5 cautioned him that preparations were not complete. Wallace told Hinchley-Cooke that he had a Major General in mind for President, one with a tight schedule and the sooner the court martial could take place, the better. The man who ended up serving as President may have been the man that Wallace had in mind. Bevil Thomson Wilson was born in Toronto, Canada, on 12 December, 1885, the son of surgeon Alexander Wilson and his wife Mary Louise Rhynold-Barker. The young couple had apparently married in haste on 31 August, 1885, and one might suspect that young Mary Louise traveled to Canada to avoid the scandal associated with their son's untimely arrival. Despite his Canadian birth, Wilson was raised in Manchester and eventually attended Clifton College near Bristol. Young Wilson was not called to follow in his father's medical footsteps however, choosing rather to accept a commission in the Royal Engineers in 1905 at the age of 20. Wilson served in India and Egypt prior to World War I and quickly rose through the ranks with the outbreak of war, fighting several campaigns in Gallipoli, France and Italy. Along the way, Wilson was Mentioned in Dispatches for "conspicuous gallantry and devotion to duty" and also picked up a Distinguished Service Order (D.S.O.). He ended the war as a Brevet Major serving with the Ministry of Munitions. In June 1918, Wilson married Florence Erica Starkey with whom he had a son and a daughter. His son, Alexander James Wilson, would follow in his father’s footsteps as a career soldier. During the interwar period, Wilson spent some time in England before being deployed as a Brigade Commander to the Sudan and India. In 1939 he returned to the U.K and was assigned command of the 53rd (Welsh) Division which was deployed to Northern Ireland. It may have been here that he picked up his nick-name of "Swill-Tubs". 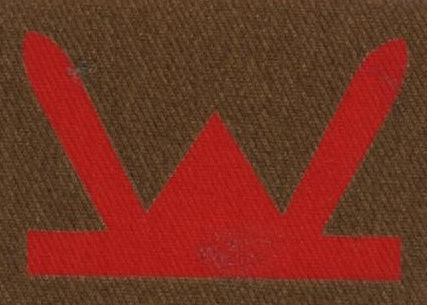 Wilson relinquished command of the Division in July 1941 and retired from the Army a few months later. One of his last military duties was to serve as President at Josef’s court martial. The members of Josef’s court martial panel included four officers and two waiting members. Frederick Arthur Montague Browning was born 20 December, 1896, in Kensington, London, the son of wine merchant Frederick Henry Browning and his wife Nancy Alt. After studying at Eton College, Browning was nominated for admission to the Royal Military College Sandhurst and was accepted on 27 December, 1914. After graduating in June 1915, Browning was commissioned as an officer in the Grenadier Guards and sent to France in October of that year. As a young Lieutenant, Browning, or "Boy" as he was known, was awarded the Distinguished Service Order and the French Croix de Guerre. In late March 1918, the Germans launched a massive offensive (Kaiserschlacht) near Amiens and Browning’s company played an active role in repulsing the German advance. It was also at Amiens that Josef Jakobs was wounded in early April while participating in the German offensive. Neither Josef nor Browning, fighting on opposite sides during the Amiens attack, could know that they would face each other again in 1941. After the war, Browning served in various capacities with the Grenadier Guards and even served as Adjutant at the Royal Military College, Sandhurst. Despite his busy work life, Browning found time to train for, and compete in, the 1928 Winter Olympics as a member of England's five-man bobsleigh team (they finished 10th). In 1931, Browning read author Daphne duMaurier’s book, The Loving Spirit, and was so impressed by her depictions of the Cornish coastline, that he visited the area himself. On a return visit the following year, he invited duMaurier onto his boat and after a short romance, the two were married in July 1932. Browning and DuMaurier had three children over the next eight years. 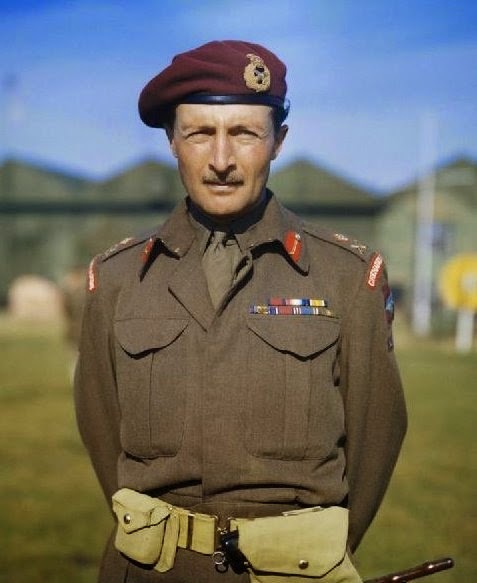 While his wife was busy writing books and caring for the children, Browning found himself promoted to Lieutenant Colonel in 1936, to full Colonel in 1939 and to Brigadier in 1940. In 1941, he was assigned command of the 24th (Guards) Independent Brigade Group in 1941, whose mission it was to defend London from an attack from the south. In October of 1941, Browning was promoted to Major General and appointed Commander Parachute Troops and Airborne Troops. Colonel E.W.S. Balfour, D.S.O., O.B.E., M.C. Edward William Sturgis Balfour was born 6 December, 1884, in London. Despite his English birth, Balfour was actually of rugged Scottish stock, being the 9th Balfour of Balbirnie, an estate in Fife acquired by the Balfour family in 1640. Balfour was the son of Edward Balfour and his wife, Isabella Weyman Hooper, a native of Boston, Massachusetts. With several generations of military officers in his ancestry, it was a given that Balfour would also enter the military. 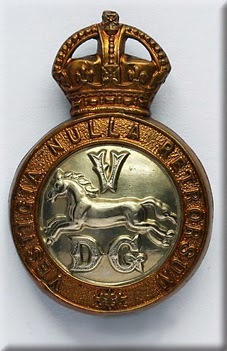 During World War I he served as an officer in the 5th (Prince Charlotte of Wales’s) Dragoon Guards and quickly earned a Distinguished Service Order. In October 1914, Balfour's older brother, Robert Frederick Balfour, a Captain in the Scots Guards, was killed in action in Belgium. A couple of months later, Balfour married the distinguished, and accomplished, Lady Ruth Balfour with whom he had four children. Lady Ruth was one of the first women to attend Cambridge University where she studied medicine. She worked as a doctor during much of the First World War. In 1916, the couple welcomed a young daughter into their lives. On 21 March, 1918, Balfour's younger brother, Captain John Balfour M.C. of the Scots Guards was killed in action near Arras, probably as a result of the German spring offensive of which Josef had been a part. After the war, Balfour and his wife had three more children, two sons and a daughter. Both of their sons joined the army and, along with their father, earned the Military Cross. Their eldest son, Peter Edward Gerald Balfour, would go on to join the Scots Guards during World War II. Their youngest, John Charles Balfour, joined the Royal Artillery and saw action in North Africa and Normandy. Both would survive the war. Balfour, himself, retired from the army in the 1930s but with the declaration of war in 1939, was remobilized and given command of the Scots Guards. Lieutenant Colonel H.H. Cripps, D.S.O. Henry Harrison Cripps was born on 20 June, 1887, in London, the son of Lt. Col. William Harrison Cripps and his wife Blanche Potter. Cripps was educated at Marlborough College and attended the Royal Military College, Sandhurst. 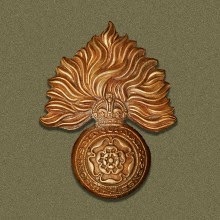 Commissioned as a Second Lieutenant in the Royal Fusiliers in 1907, Cripps was promoted rapidly through the ranks. Early in World War I, Cripps was promoted to Captain and served in the Balkans and Gallipoli. He was wounded in Gallipoli and received a Distinguished Service Order before continuing to fight in France. In April 1918, Cripps married Hilda Barbour Pring in Belfast, Ireland. The couple quickly had a daughter, born in Ireland, followed by a son, born in London. What Cripps did during the interwar period is a mystery but, by 1941 he was Officer Commanding, Infantry Training Centre, Royal Fusiliers. Robert Orlando Rodolph Kenyon-Slaney was born on 13 January, 1892, to Col. Rt. Hon. William Slaney Kenyon-Slaney and Lady Mabel Selina Bridgeman. Kenyon-Slaney’s father had served as a Colonel in the Grenadier Guards, as a Member of Parliament and as a Justice of the Peace. With such large footsteps to trace, the young Kenyon-Slaney set out to make his own mark on the world. He was educated at Eton College (Berkshire) and Christ Church College, Oxford. 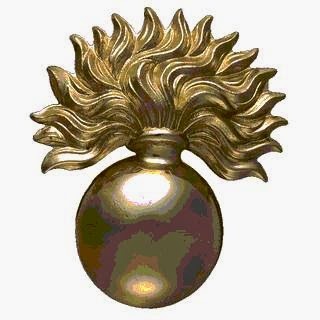 By 1911, Kenyon-Slaney was a 2nd Lieutenant with the 3rd Grenadier Guards in Chelsea. With the outbreak of war, he was sent to France and earned the rank of Captain. In May 1917, he married Lady Mary Cecilia Rhodesia Hamilton, with whom he had three children. After the war, Kenyon-Slaney was assigned as Aide-de-Camp to the Governor General of Canada. Returning from Canada, Kenyon-Slaney served as a Justice of the Peace in the mid-1920s and eventually held the office of High Sheriff of Shropshire in the mid-1930s. In 1939, Kenyon-Slaney rejoined the Grenadier Guards as a Major. The two waiting members were Lieutenant Colonel Eric Dighton Mackenzie, C.M.G., C.V.O., D.S.O., Officer Commanding, Holding Battalion, Scots Guards and the rather anonymous Major R.C. Alexander, Irish Guards, Guards Depot. Neither officer was required during the court martial but Mackenzie would play a different role in Josef’s saga when the Holding Battalion, Scots Guards carried out Josef’s execution by firing squad on 15 August, 1941.